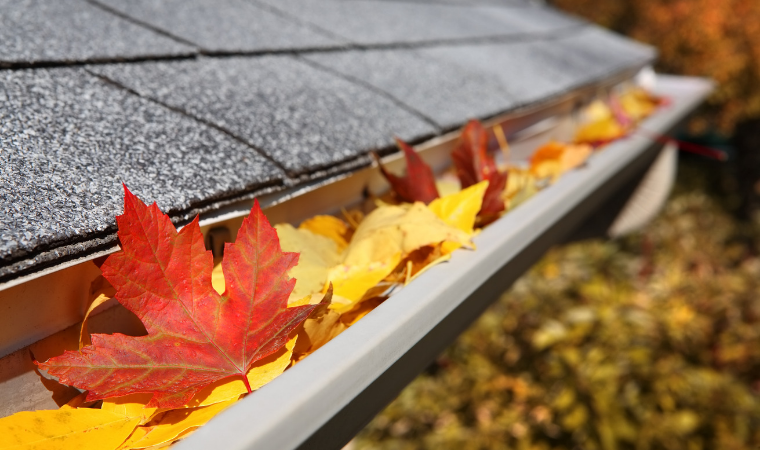 Nothing can create a water problem faster than clogged gutters. Integral to clearing water from your roof and away from your house, a bi-annual (or more) gutter cleaning can keep your house from a multitude of problems to your foundation, siding and roofing. Leaves, pinecones and other tree detritus can clog gutters, creating a barrier for water to flow into downspouts and out to the street. What do you need? A trowel or gutter scoop, ladder, gloves, shoes with rubber soles, safety glasses and a work buddy. What do I do? The simplest method is to scoop and clear anything in the gutters and then rinse them to be sure water is moving quickly and well. An easy-to-hold bucket is great for putting the gutter gunk into without having to create a mess to clean up down below. What should I watch out for? We recommend you have a buddy that can help with this task. Pay careful attention to where you place your ladder – it should be on a flat, dry surface. Your partner can help hold the ladder so that tipping is not a problem. Wear gloves to protect your hands and safety glasses in case of splashing – you don’t want to get something in your eye and risk a fall from a tall height. What else? Look at the roof to see if any shingles seem to be missing or discolored. If they are, you’ll want to have a professional evaluate them and replace them as soon as possible. If tree branches are nearby, trim them back so that you have about ten feet of clearance from your roof. If the idea of getting up on a ladder is a bit intimidating, there are gutter cleaning companies that will come out. Often, they offer a Christmas light hanging service also.